The Trump victory in the US has been cited as an example of the recent rise in support for alternatives to the major political parties, such as One Nation, which scored 4 senate seats at the last federal election. 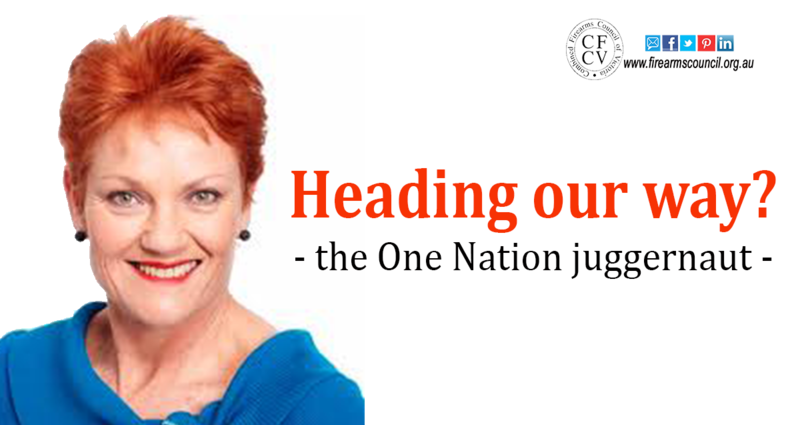 One Nation, a coalition partner in Queensland? Earlier this month, former Queensland Premier, Campbell Newman, spoke to The Guardian about One Nation’s growing vote, predicting his state could see One Nation in a coalition government. He said Hanson is an ‘older and wiser’ politician at time when the public is becoming increasingly disillusioned. Newman predicted Hanson would “keep her powder dry” on preferences and that it would ultimately come down to a seat-by-seat basis. While One Nation is not registered in Victoria (they were, but got de-registered on a technicality), their recent success federally you can expect them to re-apply. If that happens, ther performance in Victoria will be hard to match. It means the National Party, whose federal colleagues recently crossed the floor from their coalition partner on the Adler ban to protect their pro-shooting position, will need to do a lot more than that if they want to protect their vote at the 2018 Victorian State Election. Labor, which is facing pressure from the Greens to create a massive national park in the state’s north east which could severely affect deer hunting, might also want to consider the cost that could come with ignoring the One Nation vote in the regional upper house seats. If you’re interested in find out more about how the next state election is likely to play out for us at the 2017 Victorian Shooting Industry Forum, click here to grab your ticket now. It is exciting that semi-pro gun parties like One Nation and the Nats are sometimes supporting gun owners but as far as I can see, the SFF party is the only political party in Victoria that is fighting for gun owners. I am a bit concerned that our two SFFP members are not getting adequate recognition from the CFC communications. Happy to recognise what the SFFP have delivered, such as the thumbs up we gave on the funding for the Firearms Safety Foundation. Also happy to recognise what the Country Party does (such as their firearms policy), the Nats (such as fighting for us on the Adler) and LDP (when Lleyonhjelm does what he does best). Also happy to recognise the efforts of candidates from the major parties who help the shooting community, such as James Merlino & Peter Walsh and former MPs Peter Hall, Joe Helper. There have been plenty of people to thank over the years, and I’m sure there will be in the future.